vulnerabilities and pressure points that can leave a foe reeling and helpless. With his sword at his side, each one bearing a name unique to its wielder, a Blademaster is a force of death. Drawing and resheathing their blade with each attack, swift slashes accompanied by precise, unarmed strikes, a Blademaster's furious onslaught is further strengthened through the rhythms of the Shin trance. Originating from the distant nation of Kashar, the Two Arts and their companion martial methods came to the shores of Sapience with the mercenary Lucaine Pyramides. Rising to spectacular prominence in the succession wars of the troubled Seleucarian Empire, he fought for the beleaguered Empress, cutting a swath through enemy forces to turn many a battle with the impossible precision of his weapon, Three Moons. Centuries later, questing Kashari marauders set about a series of events that lead to the return of the way of the sheathed blade. Now taught by the Hatha-yin maiden Kavaya, descendent of the bloodline of Lucaine, the path of the Blademaster is one of physical training, mental discipline, and supreme combative prowess. Known individually as the Draw Art and the Blade Art, the Two Arts are a formidable and unmistakable style of swift, focused, and brutal swordsmanship. As it is said, it is easier for a trained master to kill by drawing the blade from its sheath than by swinging a naked sword. Advanced techniques involve the channelling of Shin energy into one's weapon to wield a blade empowered with fire, ice, and other potent forces. Preparation A scabbard is as important as one's blade. Bladename Every sword is unique. Drawslash A single, measured slash. Gripping Clench your blade with an unshakable grip. Doya Strike true with the slow might of the Earth stance. Raze Cleave through defensive auras. Armslash Cut across the arms. Engage Lash out at a cowardly foe. Discernment Quickly assess an opponent's wounds. Legslash Slash across the legs. Thyr The whirling Wind stance neglects power for speed. Impale Drive your blade straight through your opponent. Centerslash Carve up or down across the head and chest. Balanceslash Drive your enemy back with a balanced slash. Infusestrike Wreathe your blade in crackling flame. Pommelstrike Deliver a stunning blow with the hilt of your sword. Mir The adaptive Water stance favours defence. Predict Know yourself, know your foe. Bladesuicide If death must come, be it by your own blade. Retaliationstrike Unleash a fierce strike against your attacker. Infuselightning Command lightning into your sword. Bladetwist Torment an impaled foe. Arash Aggressive and powerful, the Fire stance is one of attack. Infuseice Suffuse your blade with ice. Multislice Spill blood with a succession of slashes. Compassslash Send their blood to the points of the compass. Infusevoid Wield the Void and your sword as one. Impaleslash Let their blood flow freely. Sanya The total focus of the Void stance amplifies inner power. Brokenstar Draw the broken star across your foe. With trained knowledge of the anatomies of many of the sentient races that walk Sapience comes the ability to exploit their physical vulnerabilities. Precise, unarmed strikes to pressure points and sensitive locations allow a master of Striking to leave a foe collapsed upon the ground, unable to breathe, or rigid with paralysis. 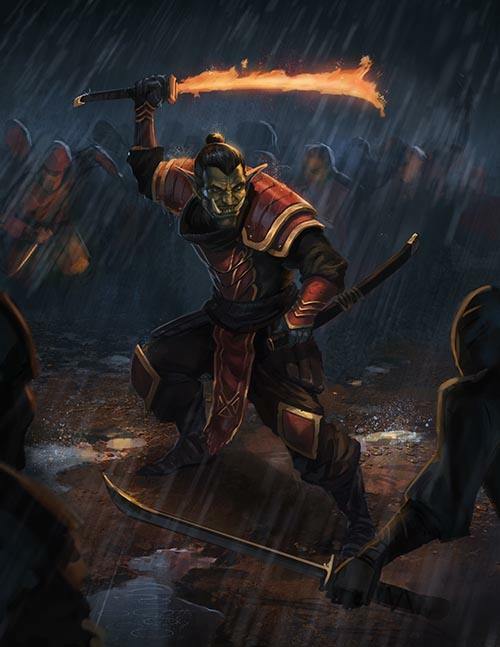 Wielding the closed fist, spear hand, and open palm, a Blademaster may strike in tandem with many sword attacks. Constitution Maintaining your intestinal equilibrium. Sternum A painful blow to the breastbone. Shoulder Induce a state of weariness in your target. Hands Send a numbing pain into your foe's hands. Ears Turn your opponent into a clumsy fool. Nose A disfiguring strike to turn even the most loyal. Knees Send your target sprawling to the ground. Alleviate Cure yourself of pesky afflictions. Neck Cause your opponent's limbs to lock up. Kidney Impede your foe's ability to process elixirs. Eyes Force your enemy to witness madness. Hamstring Cripple your target's movement. Temple Send your foe into a stupor. Feet Send your mounted target sprawling to the ground. Chin Envelop your opponent in a restful sleep. Icefist Channel Shindo into an icy strike. Flamefist Channel Shindo into a fiery strike. Airfist Channel Shindo into a blustering gale. Voidfist Channel Shindo into a powerful vortex. Groin Instill a sense of heroism into your target. Chest Afflict your enemy with constant affliction. Throat Remove your foe's ability to breathe. Stomach Imbue a loss of desire to eat. Underarm Force them to secrete a slick sweat. 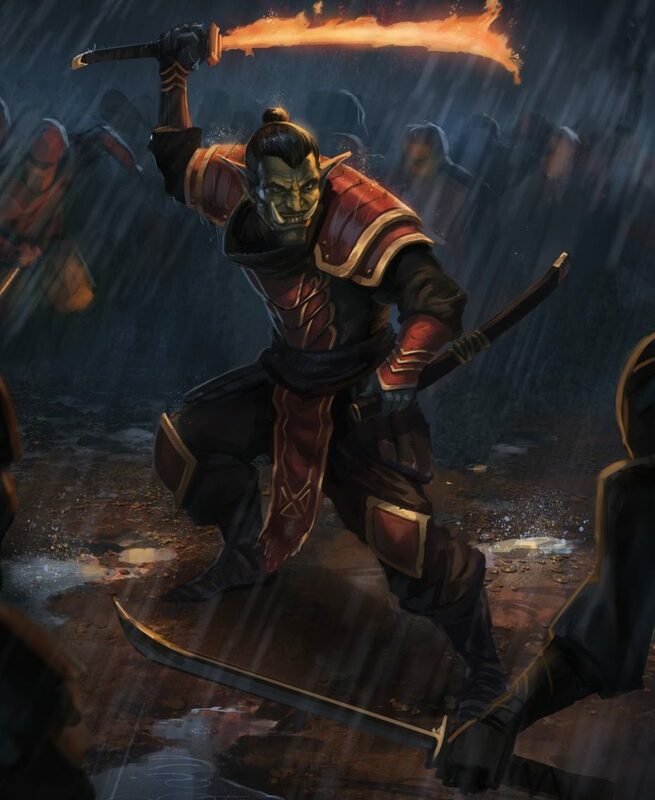 Deathstrike Unleash the fury of your martial prowess. Intense training of the body, the senses, and the mind are requisite steps on the path to becoming a true master swordsman. While such training will enable feats of speed, agility, and mental acuity that are breathtaking in their own right, the practise of Shindo is defined by the accrual and spectacular unleashing of Shin energy. The surging flow and heady rhythm of battle is known to all warriors, but students of Shindo learn to enter the Shin trance, greatly enhancing their sensitivity to its power. Many advanced TwoArts and Striking abilities require Shin energy to perform. Their use will not be possible without first learning the ShinTrance ability. Weathering Rigorous training yields a toughened physique. Augment Your bladework reaches new heights of potency. Breathing Control your breathing to resist choking attacks. Shintrance Sink into a reverie of battle. Shadow Surveil from the shadows. Detect Find others throughout the land. Deaf Will silence upon the world. Blind Render your eyes unseeing. Sight See the world anew. Nightsight Vision in darkness as in light. Bind Brace yourself with Shin energy. Toughness Strengthen your body against assault. Projectiles Weave and dodge missiles. Dodging Elude attacks from the air. Sturdiness Stand steadfast against acts of force. Immunity Withstand the foulest of poisons. Burst A crude release of force. Dash Fly across the ground. Waterwalk Dance over the waves. Mindnet Know of all who approach. Consciousness Maintain awareness at all times. Healthtrans Heal your wounds with Shin power. Manatrans Fortify your mind with Shin power. Highleap The sky is within your reach. Annihilation Fury given fiery form. Thunderstorm Unleash a galvanic surge of power. Blizzard Quench your foes with a storm of ice. Bounding Leap great distances in but one soaring step. Vitiate Your strength becomes another's frailty. Meditate Your focus is without compare. Fullsense Reach out with your mind to touch others nearby. Phoenix Rebirth through cleansing flame.